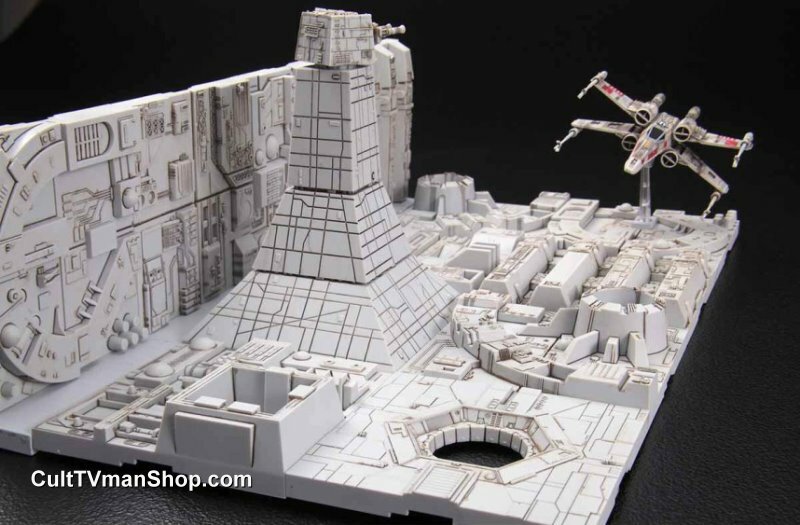 Diorama of the classic Star Wars finale! 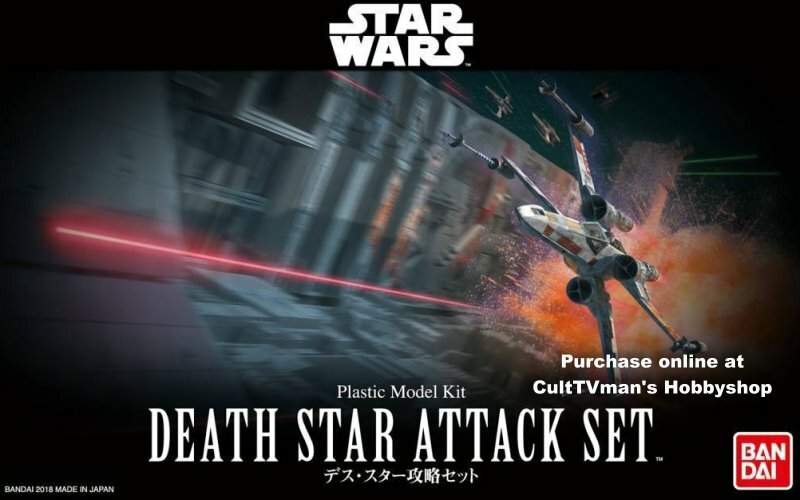 Kit includes 1 X-Wing with markings for Red 2, 3 or 5. 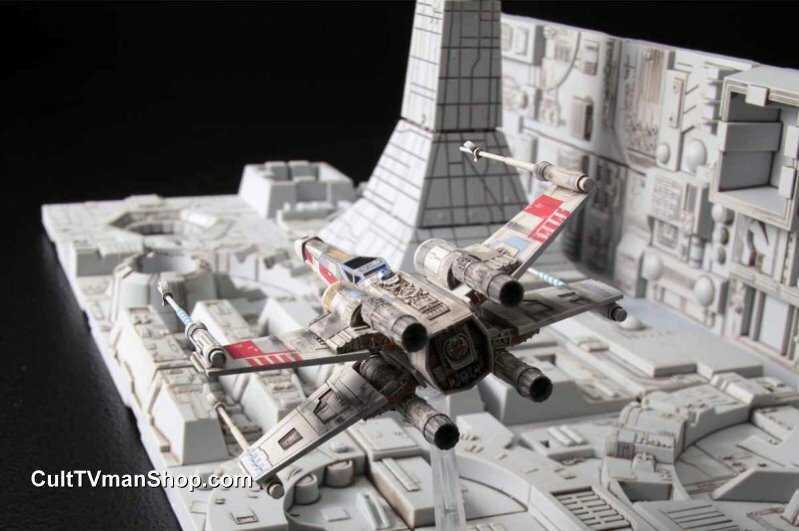 X-Wing is about 3.5 inches. 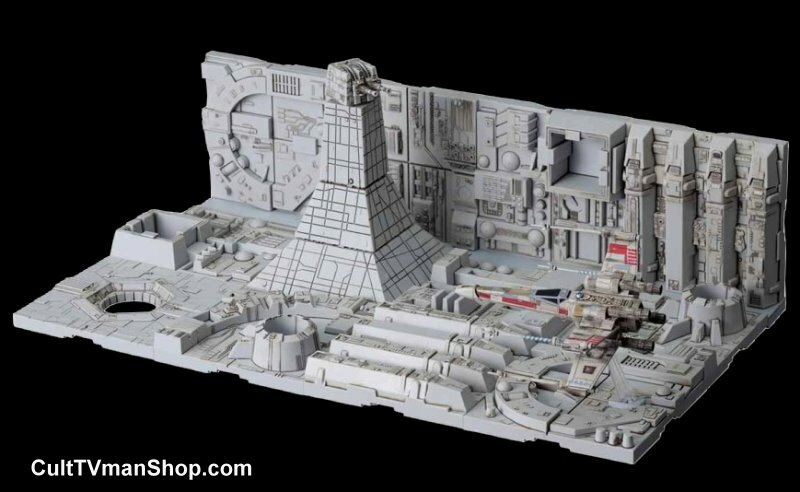 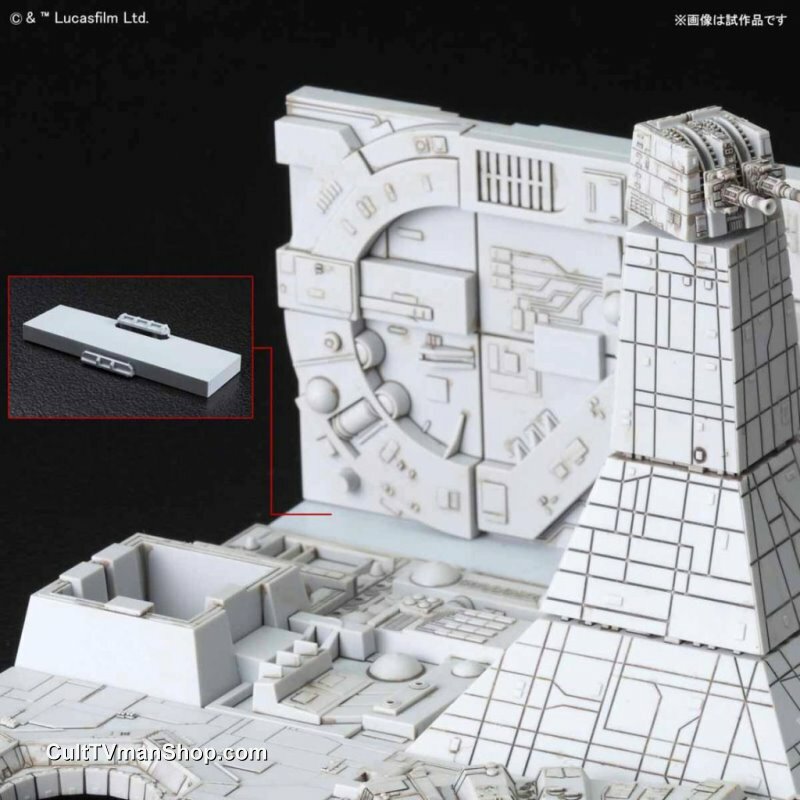 Death Star trench includes laser canon and measures about 9 inches long.